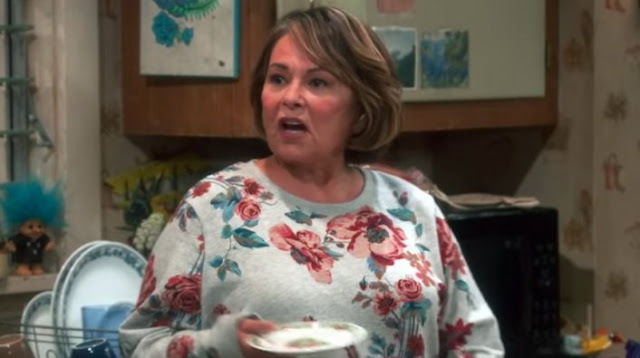 Roseanne Barr’s self-titled sitcom was reportedly canceled by ABC after she made some racist comments about a former Barack Obama aide - Valerie Jarrett, via Twitter. According to TMZ, Roseanne reportedly tweeted out that Valerie Jarrett looks like the “muslim brotherhood & planet of the apes had a baby.” Since then, many celebrities and fans have reacted, with one of her castmates—Sara Gilbert condemning the statement. Since then, Roseanne apologized and removed the tweet, but the damage was already done as ABC released a statement saying they were canceling the sitcom. ABC said, "Roseanne's Twitter statement is abhorrent, repugnant and inconsistent with our values, and we have decided to cancel her show."